Please note: Given the beauty and uniqueness of each handmade fox; wool body and silk scarf may vary in pattern making each single fox it’s own. 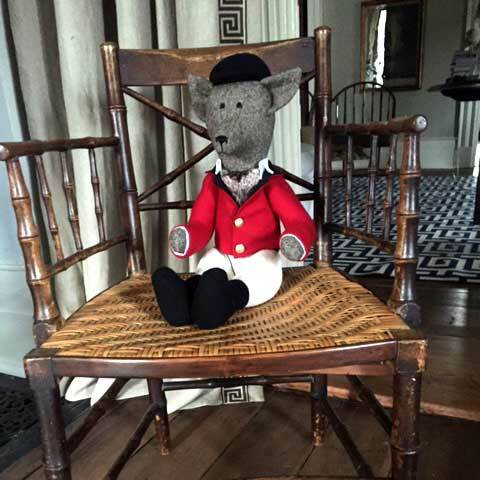 Since the 1700’s Kentucky has had a long rich history with fox hunting. 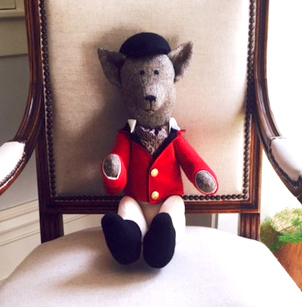 We are pleased to introduced The Kentucky Fox; he is handmade here in the heart of the bluegrass complete with his signature red coat and gold brass buttons.